As I've mentioned before, I've been cutting back a bit with product reviewing & giveaways over here, but today's crafty item is something too good not to share. It's really got something different that's worth telling you about. TWO lucky readers will get their very own to try out too. 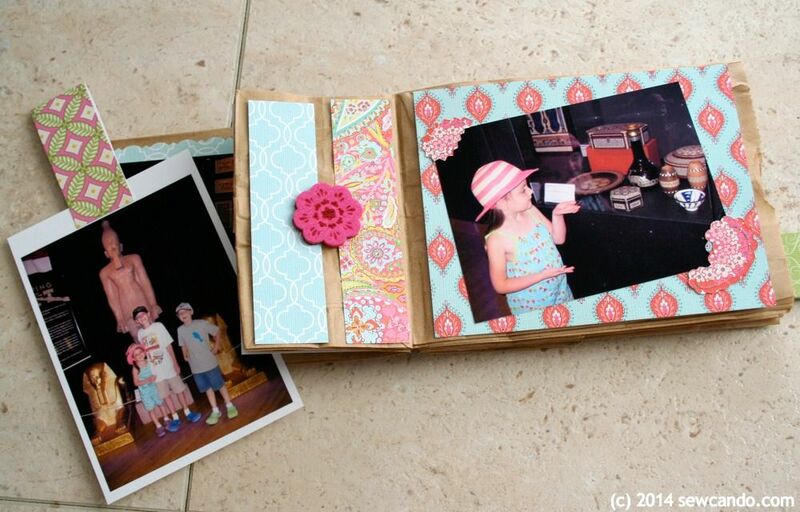 Read on and see what makes this crafty goody extra special! 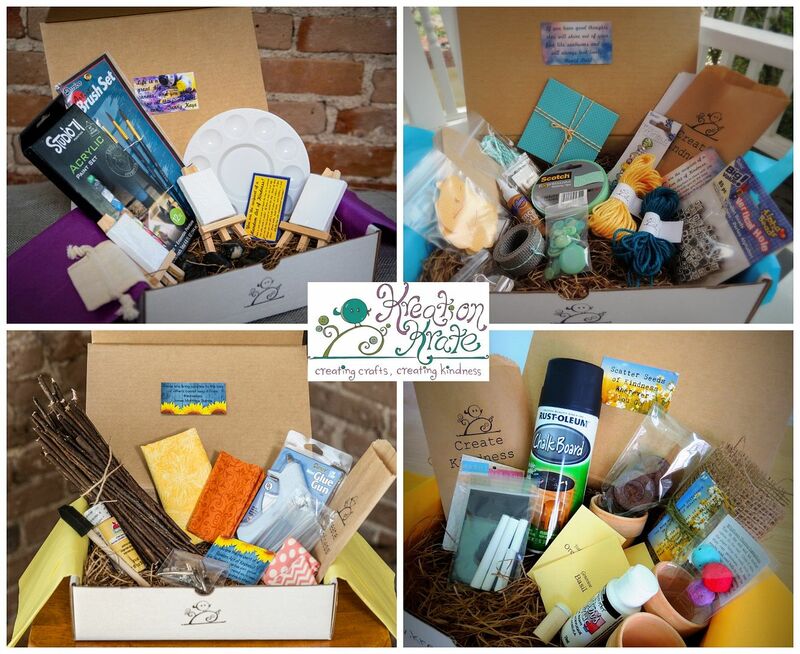 Kreation Krate is a unique subscription box - it's not just craft projects/supplies in a box. It combines learning a new craft with doing some kindness for someone else. 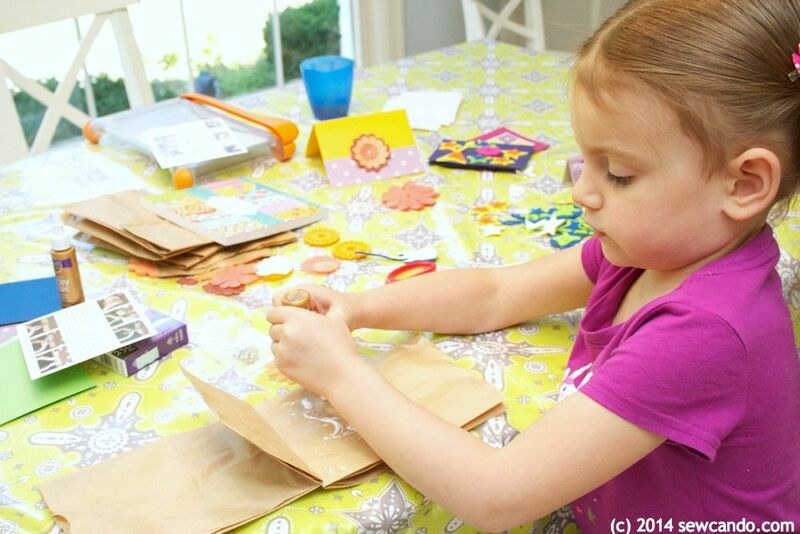 Each month, you receive a box filled with supplies to make 2 different crafts. One is for yourself, and one is to create and gift to others as a random act of kindness. 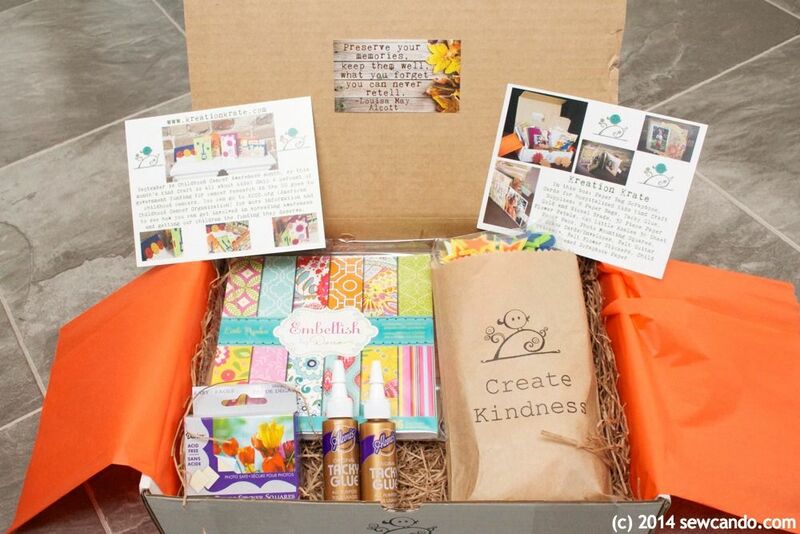 This idea of of a craft box giving & encouraging kind acts really struck me as a departure from the usual me-centric kits out there, so I was all for trying this out. 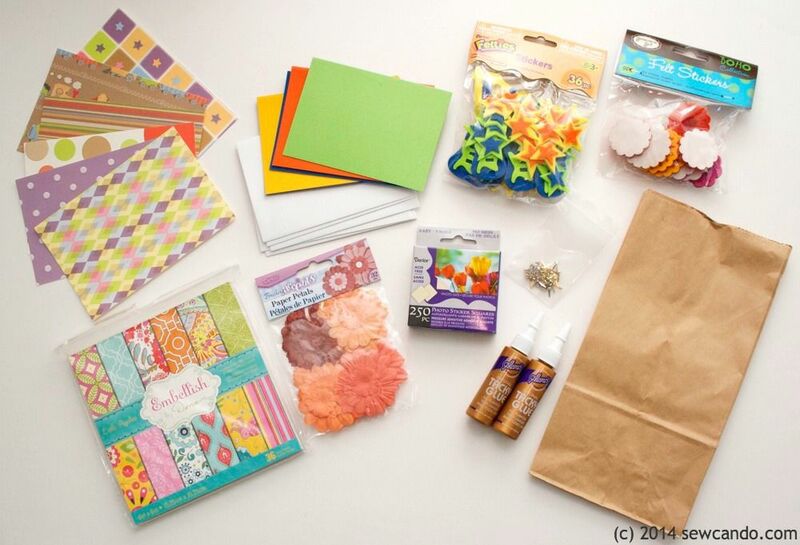 There was a pretty large assortment of supplies provided: note cards & envelopes, scrapbook papers, a book of card stock prints, stick-on felt shapes, brads, adhesive photo squares, tacky glue, paper flowers and a bunch of paper bags. 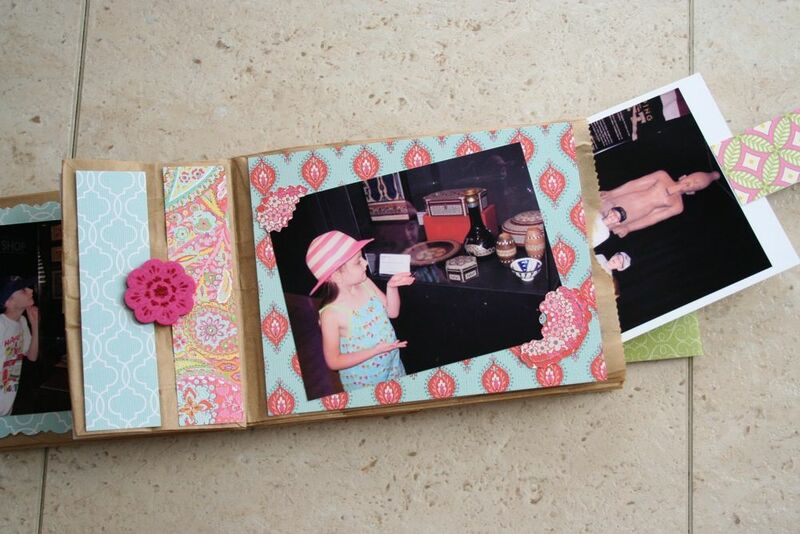 Even after making our album and decorating the cards, there was a lot left to go into our craft supply stash. 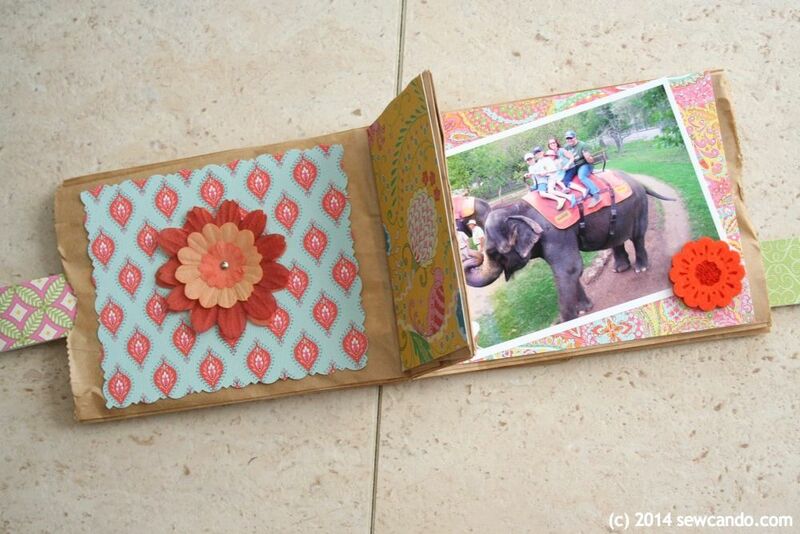 The first project was a paper bag photo album. Truthfully, I was a little skeptical about how it well would work. I'm not much of a scrapper or paper crafter, so with my lack of skill & creativity in that department I was a little worried it wouldn't turn out looking too good. I'm really glad it forced me a bit outside my crafting comfort zone because it ended up being cute and a fun mommy & me project to do with my daughter. Here's my little lady hard at work with the glue. Oh, how she loved helping with the gluing (and surprisingly didn't get it everywhere). 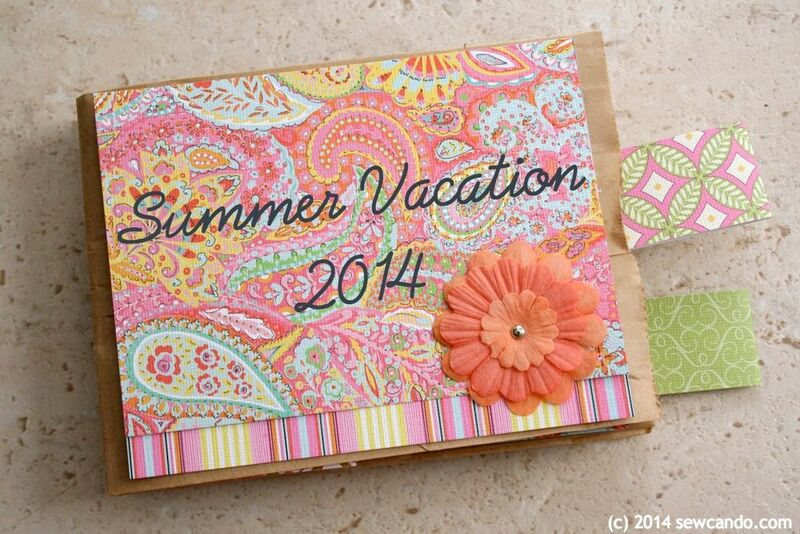 Being an impatient sort of person by nature, I really liked that you could get started crafting right away. The project postcard had photos to show how to put things together, but there was also a handy video on the website for us visual learners. It was quick to watch and didn't have annoying narration which was great (so many how-to videos out there are painfully long and over talked!). We got the idea of what to do and went for it in under 2 minutes. 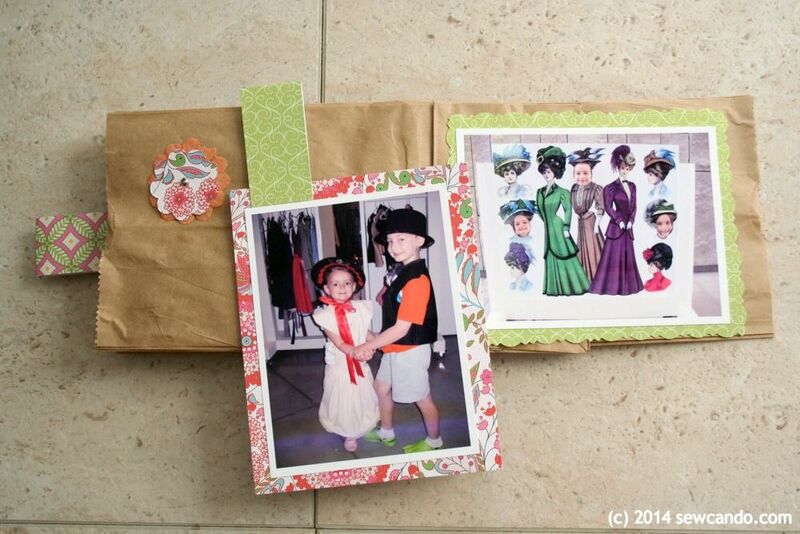 The hardest part was waiting for the glue to dry after making the album so we could start adding the photos & embellishments. A half hour in the sun on the front porch helped speed it up though. The kindness gift project was to make homemade cards for hospitalized kids, as September was Childhood Cancer Awareness month. It included info on places to send the cards and what kinds of messages to write to bring a smile to & share some hope with the recipients. My 5 year old kind of took charge of the card making (as in she wouldn't let me do much at all), but she did let me add a flower to one. Her big brothers will get to do the writing inside & address them and we'll all mail them together. It's feels good to spend some time turned away from our own personal preoccupations to bring a little unexpected happiness to someone else. Subscriptions to Kreation Krate are $26 billed monthly, shipping is free, which is pretty reasonable considered how much stuff you get in each box. And you can buy specific boxes individually if you just want to do a particular box. 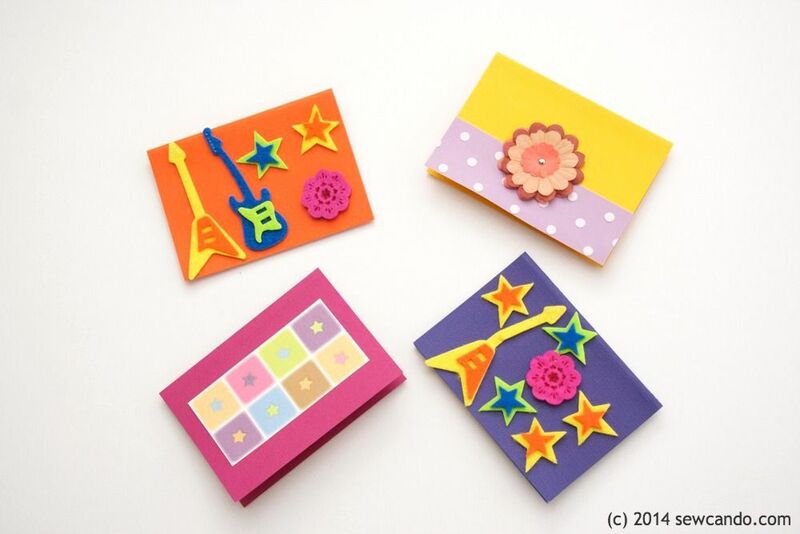 Previous months boxes are available in their store for $31, as well as some of the individual Kind Crafts. I'm excited that Kreation Krate is coming out with a kid-version box for ages 4-12 as well. As much as I hate to admit it, I don't craft as much with my kids as I'd like. Between homeschooling, making things for them and all their other activities - 4-H, swimming & the like - I tend to fall short on time to plan and put together projects for their skill level on a regular basis. Getting a little help so we can have craft time together AND use it to spread some kindness to others is something I'd love to start. I'll be looking forward to getting the Kreation Krate Kind Kids when it launches. 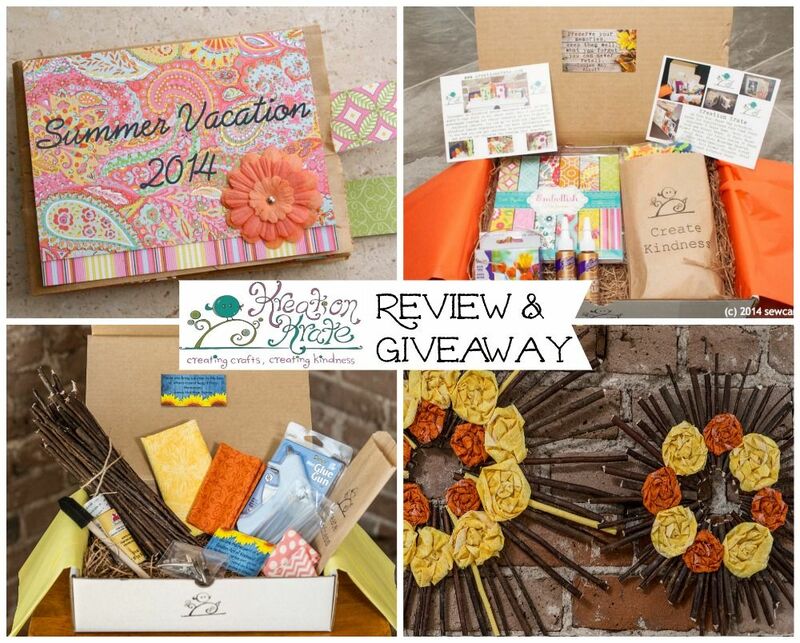 chance to win the Kreation Krate of their choice! I received this Kreation Krate to review. The opinions are completely my own, based on my honest experience with this item. The 3, maybe the creativity come out. Un especial abrazo desde Costa Rica. Any of these kits would be nice! pretty neat :) Either would be fine!